About Imagine if every aspect of your fitness lifestyle was custom designed and hand delivered to you by a coach who guides you through every step. Through years of training experience as well as endless research conducted during his doctoral program, Chris Johnson has created PROformance Training Systems. A system for providing his clients with holistic and effective training. 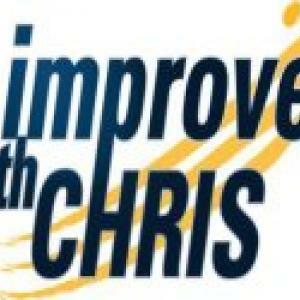 As a result of Chris' blend of sport and fitness experience with leadership knowledge, he is the choice as your coach. Coach Johnson is dedicated to providing only individuals who are ready to radically improve their lives with a fully immersive coaching experience and support system to help them on their journey. Every endeavor worth doing is challenging, but Chris is determined to make it rewarding and fun along the way! He works primarily with over-worked and time-restricted individuals who are looking for proven results. Over the years, he has consulted for such organizations as Runner's World Magazine, The Boston Globe, Whole Foods, The Sport Digest, WBZ, and NECN news. Chris has also written PR Pace: Strength & Performance Training for Distance Runners as well as peer-reviewed articles in The Sport Journal. Coach Johnson has also lectured courses including personal training, ethics in sport, sports for special populations, and sports facility and event management, and international sports management. Chris' doctoral and masters studies are in leadership and management and his undergraduate studies are in sports and exercise science. During undergrad, he interned at Harvard University's Strength and Conditioning Department. He is also currently an active member of the National Strength and Conditioning Association, USA Track and Field, National Society of Physical Activity Practitioners in Public Health, American Trail Running Association, and Road Runners Club of America. He has been the captain of both his high school and collegiate teams and qualified for the Boston Marathon numerous times. His top marathon finish is 4th place overall (Hyannis 2009 & 2010) and half marathon finish is 2nd place (131 Boston Marathon 2010 & Cape Ann Half Marathon 2011). Chris Johnson is a co-founder at Boston Strength and Conditioning, LLC and was the former Head Strength & Conditioning Coordinator and Assistant Cross Country Track Coach at Lasell College prior to pursuing his entrepreneurial dream of running his own sport and fitness business full-time. Coach Johnson is also a Second Lieutenant in the Army National Guard. All of Chris' clients are trained using his scientifically developed and proven training method PROformance Training Systems (TM). ... read more.